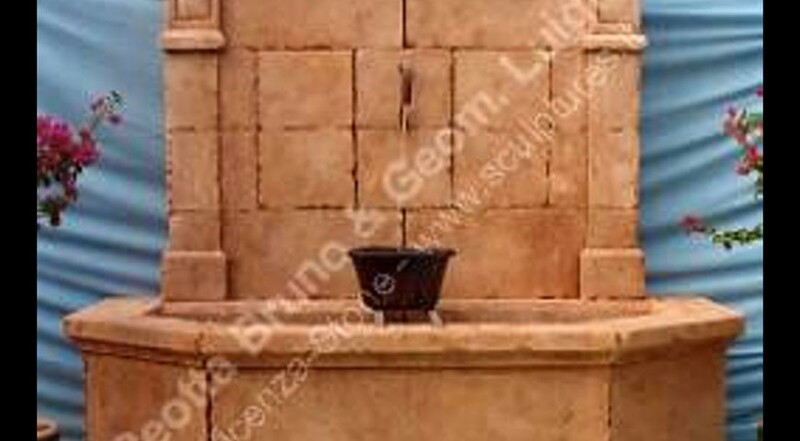 A carved stone geometric wall fountain, the panelled back with timpano style complete with columns in each sides. A wall coping with irons and bucket. Original elegant design, french style.